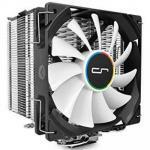 "This CPU cooler allows me to raise the fan, high enough for my RAM clearance. 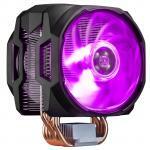 Gives good CPU cooling as well as RGB lighting." 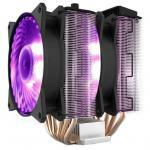 "This thing looks great and is almost dead silent as far as air coolers go. Installation was easy enough. However make sure it will fit your case as it is quite big, and watch out for memory clearance...."
"Awesome cooler look great with the rgb lighting and keeps my cpu cool. 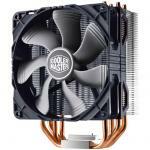 I would recommend this cooler this everyone." 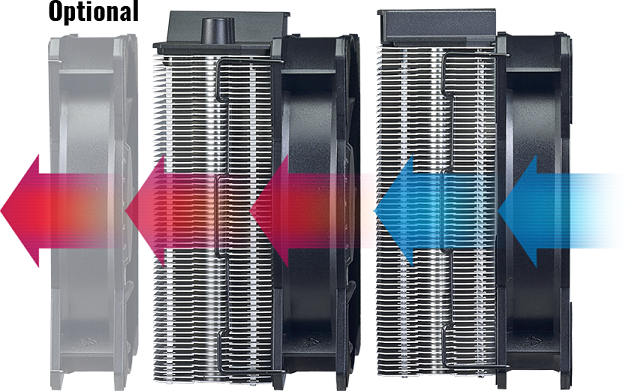 The dual tower heatsink has a combination of 2 sets of heatsink towers with 2 sets of MasterFan MF120R RGB. 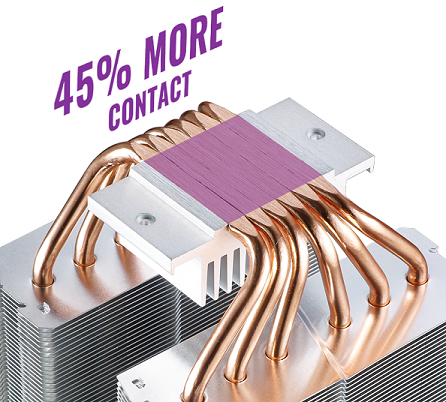 The uniquely designed heatsink allows bigger and more spread out surface area, while the MF120R RGB fans give added air pressure from the outside and inside the heatsink to generate massive cooling performance. 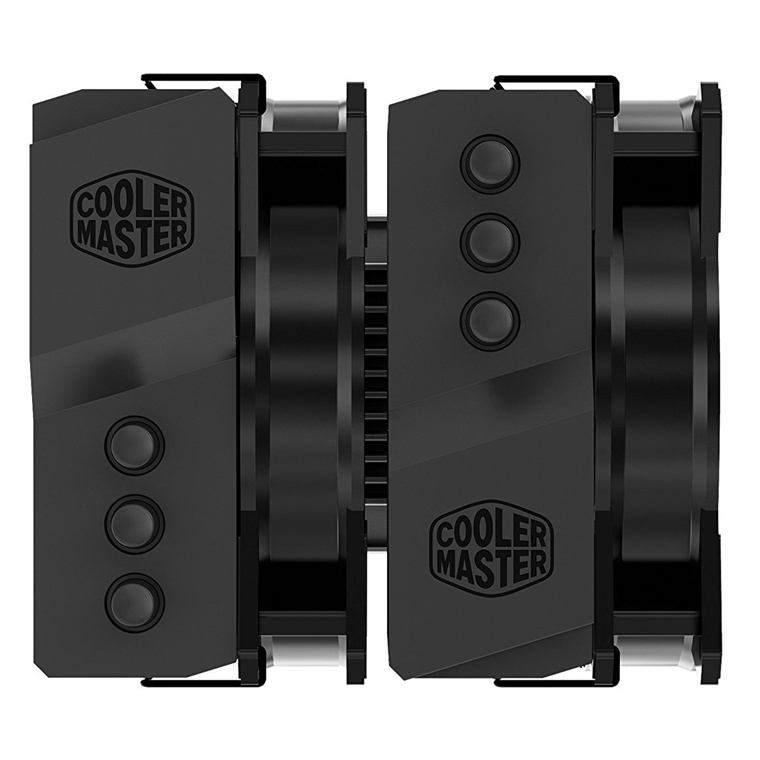 Add up to 3 fans to accelerate the air pressure and removal of heat with the 'Push and Pull'. 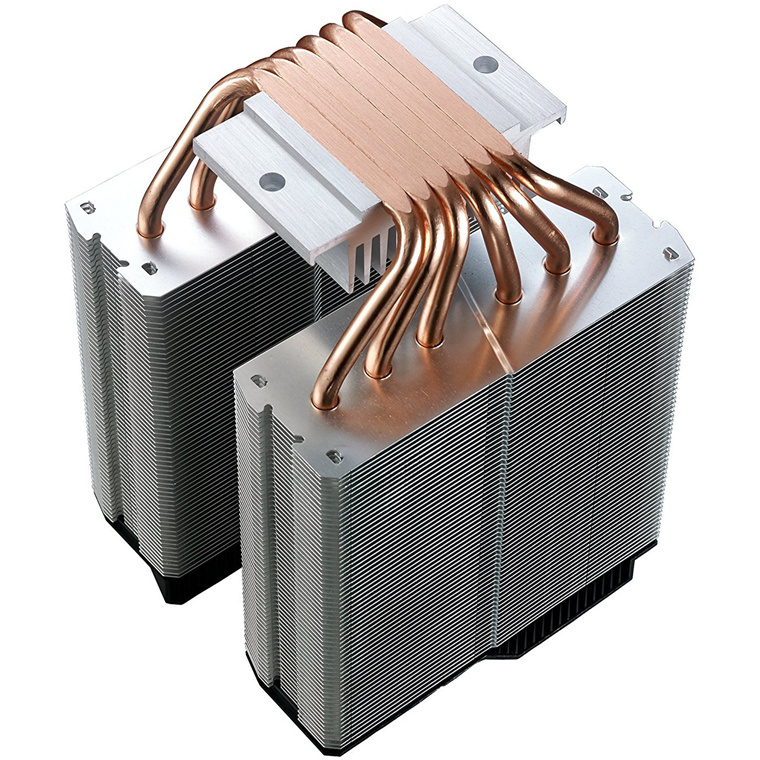 One fan is placed at the front to pull cool air in, the second fanis placed inbetween the heatsinks, with the option to add third to maximize the heat pass-through. 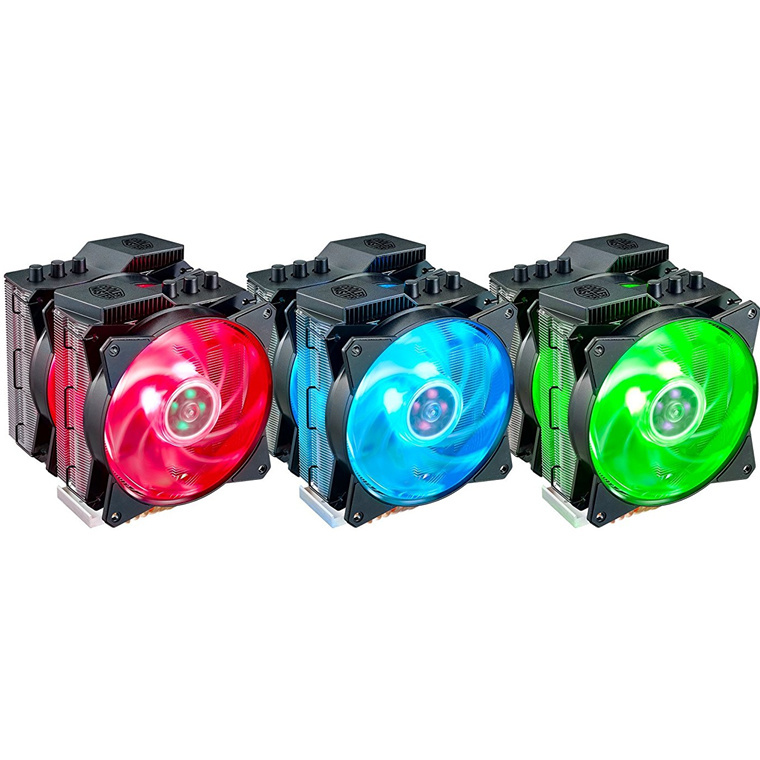 The MasterFan MF120R RGB operates quietly even at high speeds. It is designed with a combination of jet engine and helicopter blades for the static air pressure you need without sacrificing airflow. 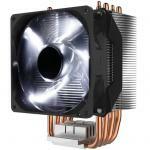 MasterAir MA620P has 6 x heatpipes for fast transfer of heat, to make sure the CPU is running at optimal performance. 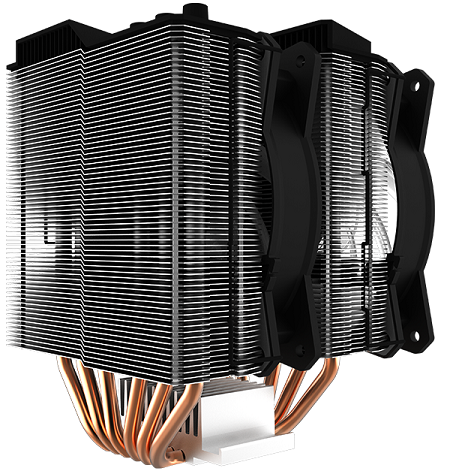 Combined with the twin tower and dual fan design, you can even maximum TDP for the extreme overclockers. 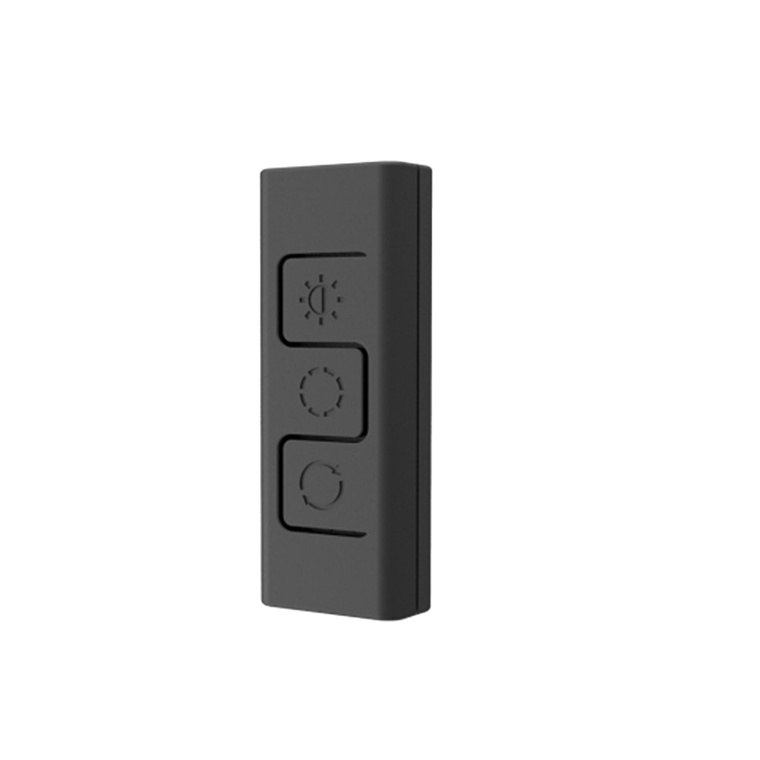 A wired RGB LED controller is included 100M to personalize the RGB lighting anytime you want (no software needed). Switch it up depending on your mood, the possibilities are not limitless. This thing looks great and is almost dead silent as far as air coolers go. Installation was easy enough. However make sure it will fit your case as it is quite big, and watch out for memory clearance. I have Corsair LPX low profile ram which is fine, but anything taller would cause issues. You can adjust the fans upward if needs be, but even then sometimes the aluminium fins will still cover your back ram slot.This thing looks great and is almost dead silent as far as air coolers go. Installation was easy enough. However make sure it will fit your case as it is quite big, and watch out for memory clearance. I have Corsair LPX low profile ram which is fine, but anything taller would cause issues. You can adjust the fans upward if needs be, but even then sometimes the aluminium fins will still cover your back ram slot. 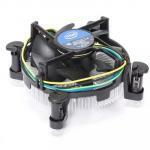 This CPU cooler allows me to raise the fan, high enough for my RAM clearance. Gives good CPU cooling as well as RGB lighting.This CPU cooler allows me to raise the fan, high enough for my RAM clearance. 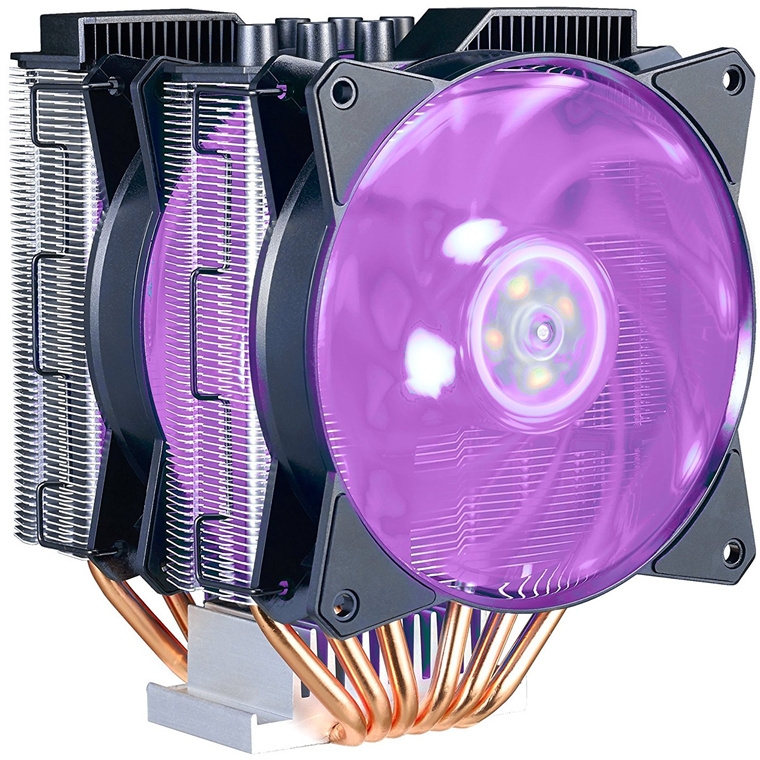 Gives good CPU cooling as well as RGB lighting. Awesome cooler look great with the rgb lighting and keeps my cpu cool. 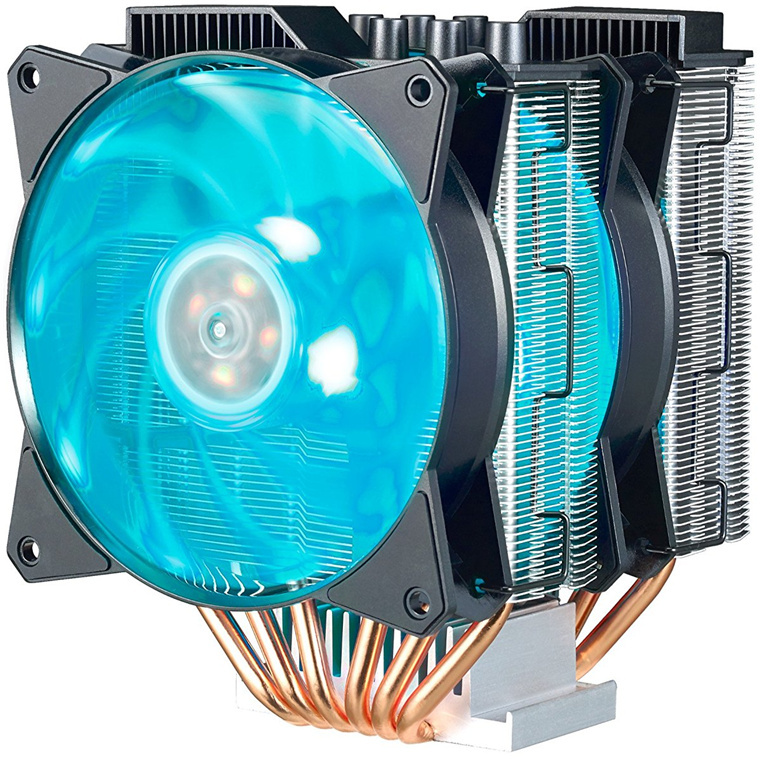 I would recommend this cooler this everyone.Awesome cooler look great with the rgb lighting and keeps my cpu cool. I would recommend this cooler this everyone. PB Tech price: PB Tech price: $79.00 ex. $90.85 inc.